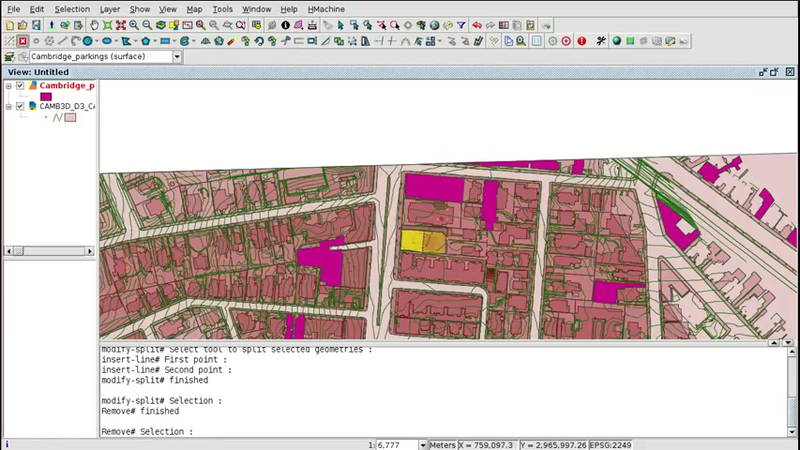 The video of the tenth module is now available, in which we will show how to load and manage cartography in CAD format on gvSIG. Many municipalities have their geographic information in CAD format, and in many cases there’s an only file for the whole municipality that contains all type of information, such as power lines, parcels, drinking water system, sewage system…, each one in a different layer. It sometimes makes it difficult to manage, even we have to divide the municipality into sheets to manage that information, where we lose information of our municipality as a group. In that case, to make queries, calculations…, we would have to open the different files. Another important advantage is that the vector layers in a GIS have an associated attribute table, and on the .SHP format, the most common in GIS, we can add all the fields that we want to that attribute table (length, area, owner, release date…). We will have a great amount of alphanumeric information of the different elements. By having alphanumeric information it is easy, for example, to know the areas of all the parcels of our municipality at the same time, we wouldn’t have to select them individually like in a CAD. We could also make inquiries about them. For example we can make a query of parcels the area of which is larger than 1000 square meters with a simple sentence, where they would appear selected directly. This entry was posted in CAD, english, gvSIG Desktop, training and tagged CAD, city council, gis, municipality management. Bookmark the permalink. Thank you for your prompt response. I have finished all the activities foe this course using ArcGIS 10.4 what is the next step to sent my wok done and get the Certification. sí lo cargo directamente de dwg, las geometrías sí tienen su campo text pero no me deja exportar a shp. Por otro lado, tengo problemas con los bloques. Es posible, de alguna manera, exportar a sig un bloque de cad polyline que representa un símbolo puntual en sig y que me conserve la simbología? es decir, exportar a sig el bloque uniendo las polylines en un único punto y conservar la simbología del símbolo CAD. Sobre lo del problema al exportar sería recomendable que enviases a la lista el fichero gvSIG.log siguiendo las instrucciones indicadas en el post que te he comentado, a ver qué puede ser. Respecto al bloque, creo que una forma puede ser obtener una imagen de ese bloque, y tratarla si es necesario con un programa de dibujo tipo Gimp, y luego aplicarle simbología de imagen a la capa de puntos.